Cinnamon Toast Crunch French Toast! Another great one to get the kids involved in the kitchen! My little guy was responsible for using the cookie cutter on the bread as well as crushing the cereal! His future wife will thank me for the cooking skills he is going to have by then! Place the cereal in a zip lock bag and using a rolling pin, rubber mallet or even little hands crush up the cereal into smaller pieces and pour into a shallow dish. Optional – Use any cookie cutter to cut out desired shape of bread. Combine the eggs, milk, cinnamon & vanilla together in a small bowl and lightly beat with a fork. Dip bread into egg mixture and then into the cereal, coating both sides. Cook over medium low heat (cereal will burn on high temps, ask me how I know!) for a few minutes on each side. 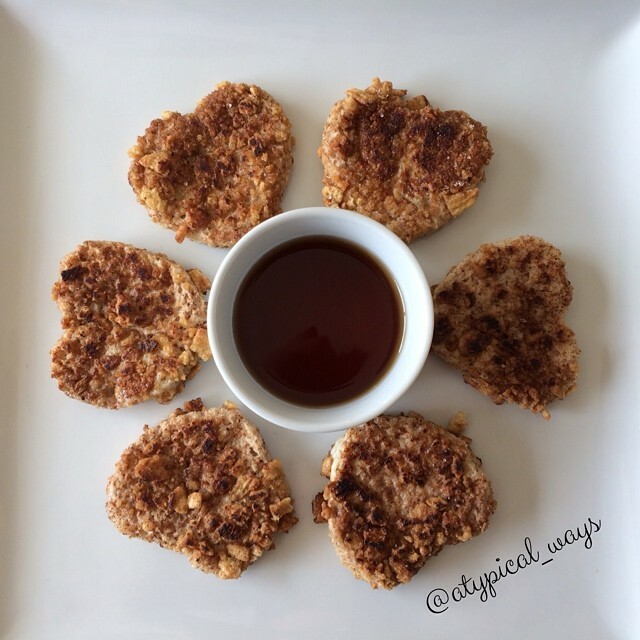 Serve with warm maple syrup! S’mores Pancake Stacks for my little guy! Super simple & so cute! 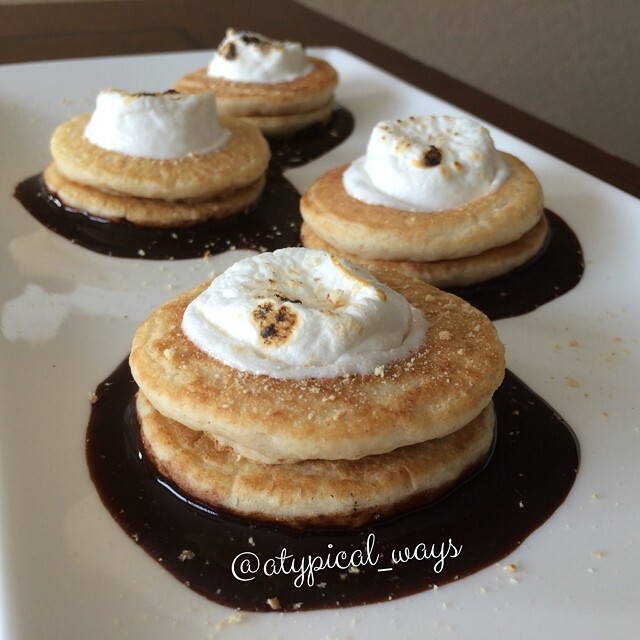 S’mores Pancake Stacks! Super simple & so cute! I made the silver dollar pancakes & then hollowed them out in the middle using a cup cake corer, stuffed them with 1.5 marshmallows and microwaved them for about 20-30 seconds. Finished them with some chocolate sauce & graham cracker crumbs. Oh and used a lighter to torch them a little bit!